There is something about the rain. When I was little, I used to watch thunderstorms from the front door. At the top of the frame, there was no small roof or canopy, and I never could sit still unless my legs were stretched out. So, naturally, I wound up hanging my feet out in the rain. If my mom or dad were working on something, unaware of the world outside of an engrossing mystery novel or the hissing sound of sautéing garlic, they knew it rained because of the little wet footprints across the foyer. To this day, I am still fascinated by the rain, and every thunderstorm is treated like an anticipated movie. Speaking of which, there is nothing more satisfying to me than rain in entertainment. In some films, the rain is a whole character, like the weather patterns in Magnolia or Rashomon. 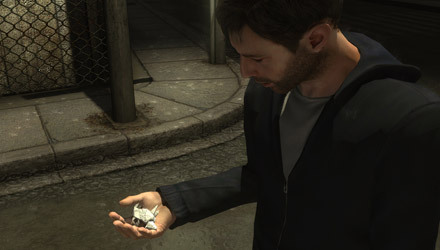 The same can be said of Quantic Dream’s Heavy Rain, where the rain plays its part as an accomplice to murder. Or it could be that the rain is the real murderer running rampant through a fearful city. It certainly is an oppressor, as demonstrated by the parade of drenched, long faces blinking at the player in the opening credits. However, when you begin the game, an image of a city shimmering with constant rainfall and its soggy, persecuted inhabitants does not seem possible. You are Ethan Mars, a successful architect who lives in a palatial house within a sunny suburbia echoing with the sounds of a mini-vans reversing down driveways and laughing children playing in front yards. Not only that, but you have two rambunctious sons and a pretty wife to call your own. Let's pop that polo collar and get crazy! It’s a good life, full of birthdays and pretend sword fights, until one of your sons meets the oncoming grill of a speeding car. Well, you do, in an effort to save your son, but it does NOTHING! 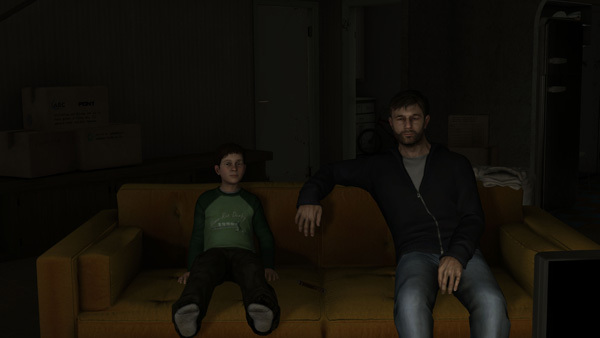 The next time we see our main character, he is living in a stark, two story apartment, and sharing custody with his remaining son, Shaun. Their relationship is strained, and there is silent conflict between them, which I assume ripples from the passing of the first son, and the divorce that followed; something I can only imagine was muted, painful, and punctuated by the whisper of signatures on paper, the same way the rain on Ethan’s windows punctuates the long silences between father and son. So... how's that long division going? Befitting a Quanitc Dream setting, Ethan suffers malicious migraines and black outs, all of which eventually involve him as the prime suspect in the complex, fatal mystery of the Origami Killer. Who is the Origami Killer? A serial murderer who drowns small boys in rain water, and then leaves them in ritualistic crime scenes full of pomp and symbolism that would even make John Doe from Seven go: Fuuuuuck. "If only I could fold paper in an intricate way so as to make a crane... sigh." 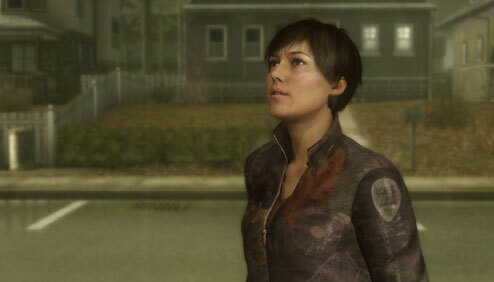 Since we are in a Quantic Dream game, you also get the chance to play multiple characters. First on deck is Madison Paige, a photojournalist who suffers night terrors. Also, I want her awesome jacket. Next, you get a chance to play Norman Jayden, an FBI profiler with a drug problem, and a pair of CSI glasses that would make David Caruso want to say: “Looks like our killer’s also in eye-popping 3-D and – ” only he would break down into envious tears instead of finishing his punch line. ARI - Comment: Seems this is cat poop. Regretting decision. Norman Jayden, out. Finally, you get to play my favorite character, Scott Shelby; a retired policeman who works as a private investigator on the heels of the Origami Killer. 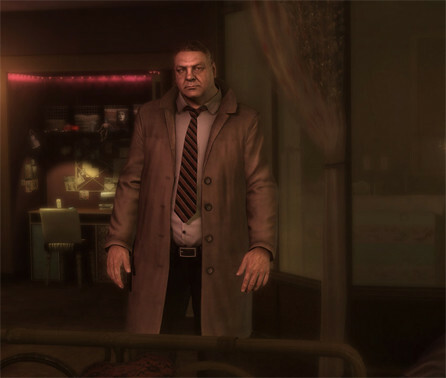 All of the characters converge in a satisfying finale that can even, on certain play-throughs, vary in specific, intriguing ways. P.S. The actor motion captured for this game looks like this in practically every movie he's done. And this should be the part where I say something like because this game is by this developer, the paths change every time with every decision you make, just like in their previous game: Indigo Prophecy. Not only would that negate just how far Quantic Dream has come since Indigo Prophesy, it would also be a slight against just how exceptional this game is on its own. There are some factors that are reminiscent of its parent game; the quick time events, the mini-games (even the R-rated ones), the varying relationships between the characters, and how those relationships ultimately end or thrive, cause and effect, etc. However, unlike Indigo Prophecy, the endings are limited in this one, and maybe this next part should be about how limiting the ending of a game with so many “possibilities” cheapens the experience, but I actually felt somewhat cheated by the 5 kergillion endings in Indigo Prophecy that I would never see after paying for it all because I wasn’t obsessed enough to go back over and over and over again. Hey, P&P, it's Lucas. Please come back? We miss you. 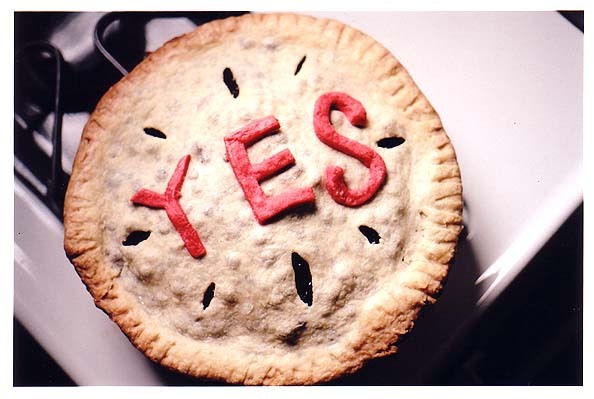 With Heavy Rain, I have a sleek, streamlined Indigo Prophecy philosophy distilled into a clean game with a grotesque finish that ultimately leaves me itching for the second play through, instead of feeling begrudgingly beholden to it. Also, some aspects of this game are permanent, and no matter how hard you try, you will not be able to unfix them, and seeing the developers have control over their own game in this respect is commendable. 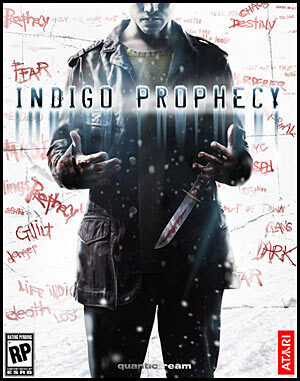 Indigo Prophesy set an incredible, chaotic standard that I still have a major soft spot for, but Heavy Rain hits a remarkably fluid stride that I just never felt Indigo Prophecy maintained. I try to be careful when comparing a video game to another form of art. The subject of video games as art is a favorite, but the debate will wait for another post. Right now, I’d rather be singing in the rain. So, like I was saying, I try to be careful, and choose my examples wisely when I feel a game is comparable to some other art form. This game does, in fact, play like a movie, and is seamless in its transitions from scene-to-scene. The wealth of imagery definitely leaves the player rich for participating. 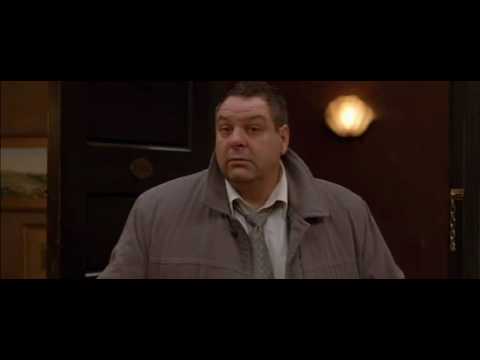 There are scenes that are lit in such a way that you can imagine inspiration was gleaned from Wally Pfister or, more appropriately, Jeff Cronenweth. The music resembles Howard Shore’s score from Silence of the Lambs, and you even have set pieces like a motel that looks nearly identical to the hotel in Memento. 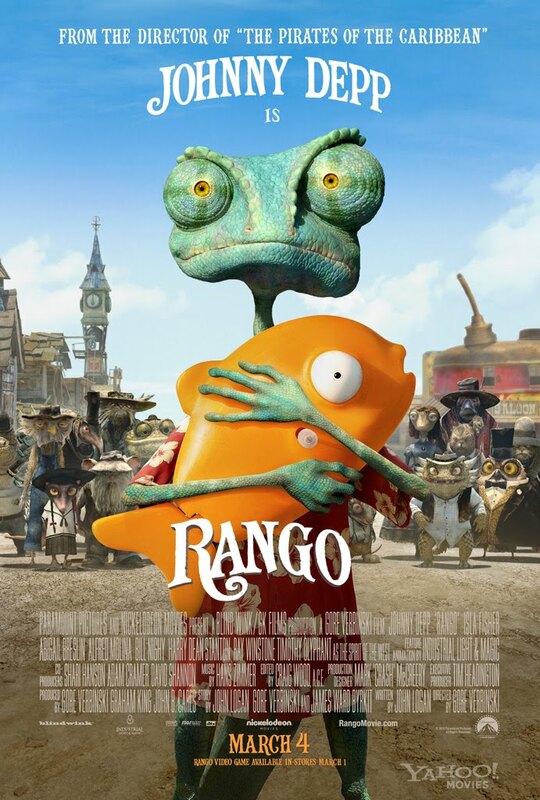 All the genre-specific movie references are enough to rival Rango! And then, there is the rain, which can mean several different things to several different people. For me, when I am feeling particularly poetic and promptly forget rain is and always will be just a weather pattern, rain becomes nostalgia. It reminds me of the things that have made me the happiest or the saddest. 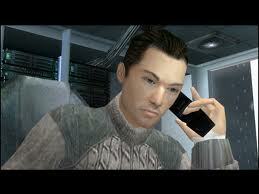 It is a character in my life, and it is the titular character in Heavy Rain. 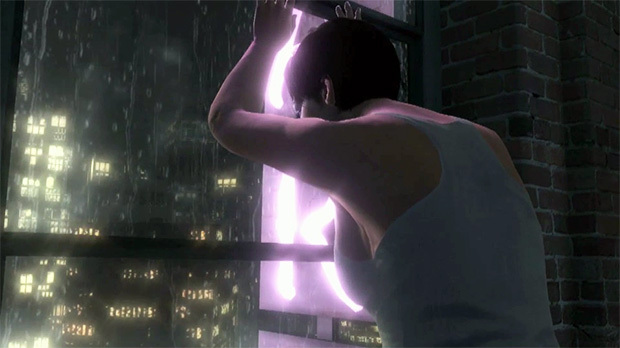 The rain is a constant throughout the game, which persists from start to finish, even though your characters always change. 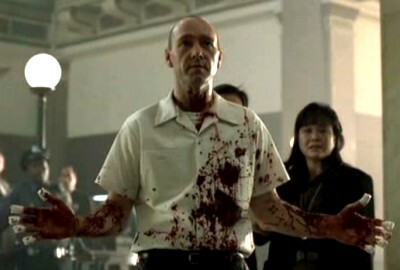 With the exception of the exposition, the rain is featured in practically every scene. It echoes moments in the story; moments that have happened in the past, occur in the present, or motivate what will happen in the future. The rain also signifies the end of happiness, as demonstrated by how Ethan’s sunny Eden transforms into a grim, cloudy existence after he loses his first son. 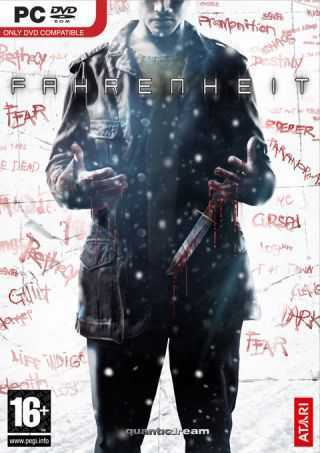 No matter what Ethan does, he cannot attain his previous happy existence, especially as he becomes the central suspect of a murder investigation involving rain. As such, in a story where rain is a murder weapon, it also becomes a relentless reminder that something will end, that someone will die. 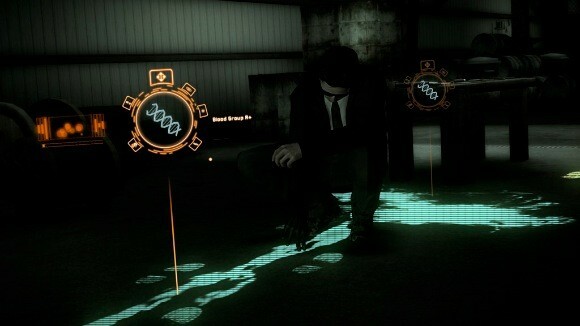 This tension never breaks in the game, leaving the player on constant alert and intrigue. Score: 9 inches of rainfall out of 10. Just walking can be a challenge at first in this game, and sometimes the camera can jump as one shot transitions to the next, but the exposition gives you time to learn this new control scheme that is not so common in other games. This complex murder mystery is gift wrapped in amazing design, and is presented with a full orchestral soundtrack. The characters, story line, and presentation (just to name a few selling points) are enough to bring the player back for more. A second play through is a must, without the pressure of fulfilling an obligation. It is only natural to play this game more than once. 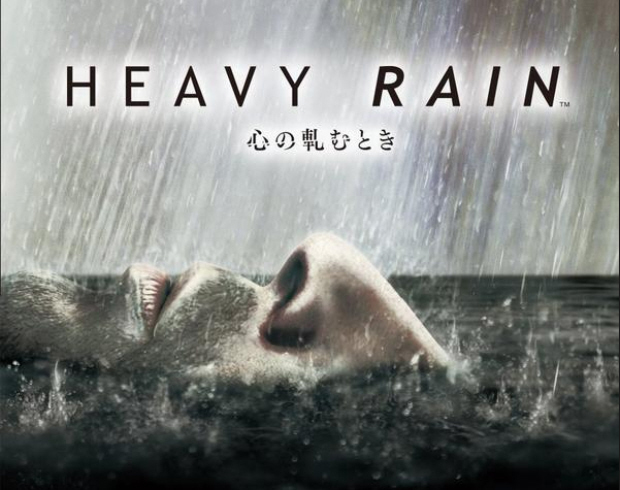 This entry was posted in The Pixels and tagged Farenheit, Heavy Rain, Howard Shore, Indigo Prophecy, Jeff Cronenweth, origami, Origami Killer, Quantic Dream, quick time event, Rango, Silence of the Lambs, video games as art. Bookmark the permalink. It’s games like this that make me want to own a ps3. Indigo Prophecy was an awesome game, and I was a big fan of what they were trying to achieve, even if it fell flat every now and then. Maybe in the grim dark future I’ll get a chance to curl up in my computer chair during a downpour and give this one a go. It sounds great! Shame I don’t own a PS3. 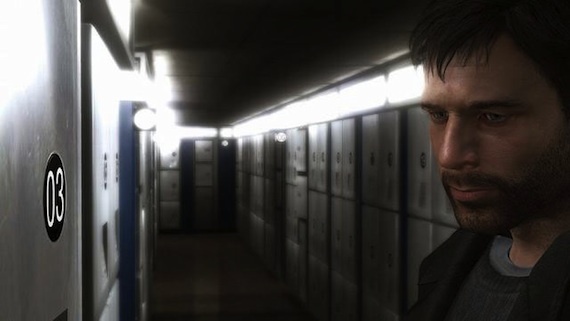 From what you’ve written, it seems to me like “Heavy Rain” is one of the precious few games that lives up to the hype about it being “just like watching a movie” and then (most important) makes it *interesting*.